WOW. This month has seriously sped by! Plus, it's the end of the second grading quarter, which means we are halfway through the school year. Hallelujah! 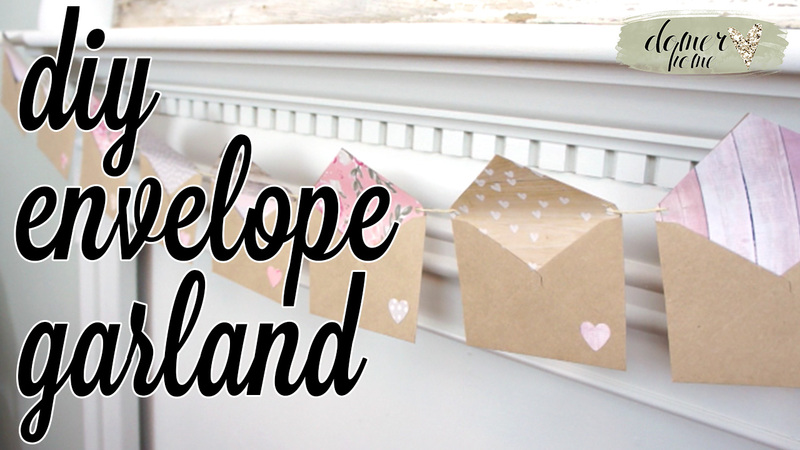 Don't you just love this simple Valentine's garland? I love Valentine's decor, but most of it is too "red" and bold for my tastes. ... But I am loving how this garland came out! It's understated, yet gives my decor the perfect hint of pink for the upcoming Spring and Day of Love! Plus, this project used supplies I had lying around the house (with the exception of the scrapbooking paper), and it only took me 30 minutes MAX to construct. What are some fun things that you do for Valentine's Day?